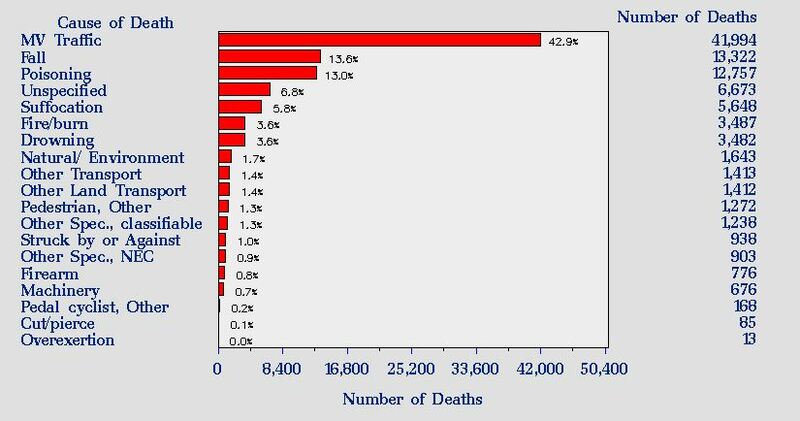 As a comparison, In 2000 (see graph below) poisoning was the third leading cause of death from unintentional injury with 12,757 deaths. 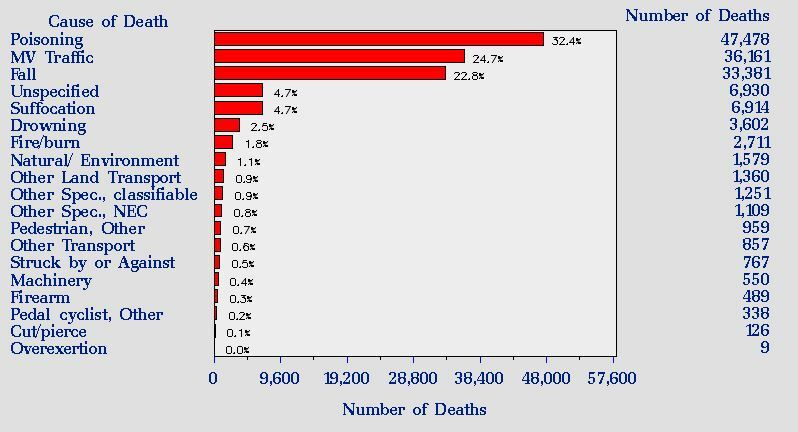 The main cause of fatal unintentional injury was traffic accidents. 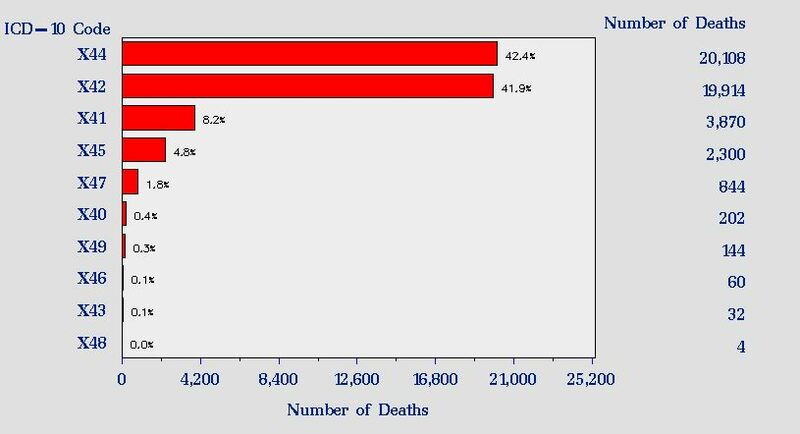 It is also interesting to note that in 2000 13,322 people died from falls compared to 33,381 in 2015. This may be explained by the aging population.